These video production terms and conditions are in relation to business and work carried out by Kevin Cook – trading as ‘Video Artisan’. 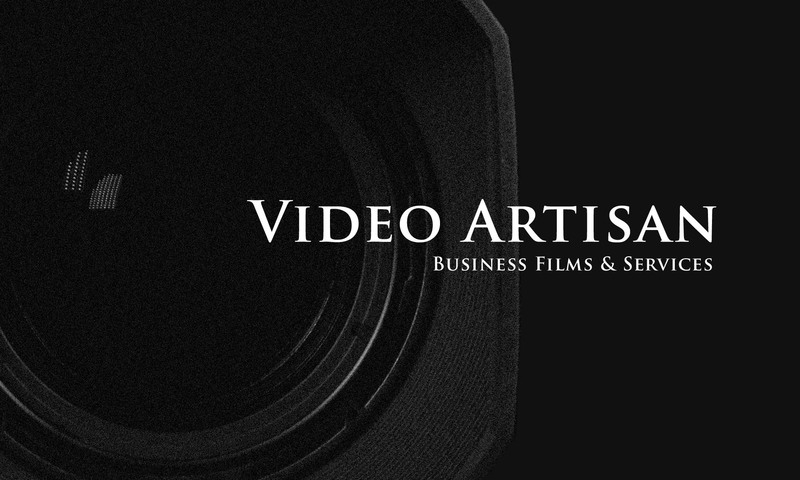 A contract is formed between a customer (referred to as the “Customer”) and Video Artisan (referred to as the “Company”) when an Order is received from the Customer. An Order may be in written, verbal or electronic form. The Product or Service shall mean any product or service that is provided by the Company to the Customer. These conditions do not affect your statutory rights. The Company agrees to supply the product(s) or service(s) to the Customer as detailed in the Order and according to the terms and conditions of this contract. Should the Company choose not to enforce any or all of these conditions it should not be interpreted as a waiver of any of the Company’s rights. By providing the Company with an Order, the Customer accepts these terms and conditions. The Company shall issue an invoice to the Customer in respect of products or services supplied, or to be supplied, the payment terms for which will be stipulated on the invoice. The Company reserves the right to charge interest on overdue amounts at an annual rate of 5% above the Lloyds Bank base rate ruling on the date payment is due. Title in the goods or services shall remain with the Company until full payment has been received, unless otherwise stipulated in the Order. The Company and Customer will act in accordance with all relevant health and safety requirements in order to provide the product(s) or service(s). Unless otherwise agreed, the Customer accepts the Company’s decisions on creativity within the product(s) or service(s). Monies paid by the Customer to reserve the product(s) or service(s) of the Company will be accepted as a Booking Fee. If the Customer cancels the order less than 8-weeks prior to the Company supplying the product(s) or service(s), the Customer will be liable for the whole invoice value less any Booking Fee already paid. If the Customer cancels their Order more than 8-weeks prior to the Company supplying the product(s) or service(s), they shall forfeit the Booking Fee. The Company accepts no liability for any loss or damage that may arise from the supply of the product(s) or service(s). In the unlikely event of the Company being unable to supply the product(s) or service(s) as specified in the Order, liability shall be limited to the total invoice value – or monies already paid by the Customer. Unless otherwise stated in the Order, the Company retains copyright in all their Original Material. Original Material includes video recordings, graphics, soundtracks, printed material and any other design or artwork commissioned by the Customer in relation to the Order. The Customer must ensure that permission is sought for the inclusion of any copyright material they supply to the Company to enable them to deliver the product(s) or service(s). The Customer must also ensure that permission is sought for the inclusion of any performers or performances, trademarks and locations. The Company retains the right to use this material in its original and edited form as they see fit, unless otherwise agreed in the Order. The Customer agrees to indemnify the Company in the event of any breach of copyright claims being brought against the Company in respect of material supplied by the Customer. The Customer must ensure that all necessary arrangements have been made with, and permissions obtained from, people and places that may be recorded on video as a result of the Company supplying the product(s) or service(s) – and that such recording is in compliance with Data Protection. In the unlikely event of a dispute over the supply of product(s) or service(s), the Customer and Company agreed to accept the findings of the Institute of Videography’s Arbitration Office. Any disputes must be notified within 28-days of the Customer receiving the product(s) or service(s). Whilst every care is taken in the handling of the Customer’s property, the Company accepts no responsibility whatsoever for any loss or damage, howsoever caused, or any other loss by unforeseen circumstances whilst they are in the custody of the Company. Liability for such loss or damage will be limited to the replacement cost of the materials or media and in no circumstances will any liability attach to any claim for the value of the content. The Company retains the right to assign the supply of the product(s) or service(s) to the Customer to another suitable company should they be unable to complete these terms and conditions. The Company retains the right to charge out-of-pocket expenses incurred in providing the product(s) or service(s) – subject to being able to provide the Customer with proof of expenditure. All out-of-pocket expenses will be charged at cost. Unless otherwise agreed the Company will treat any information gained during the supply of the product(s) or service(s) as being private and confidential. Likewise, the Customer shall keep confidential any methodologies and technology used by the Company to supply of the product(s) or service(s). These Terms and Conditions and any accompanying letter and/or contract are governed by the laws of the United Kingdom.